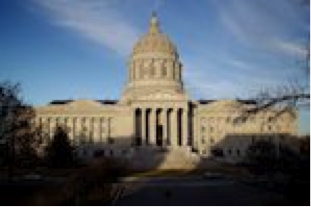 This post updates a May 7, 2011 post on “Large Scale Industrialized Hog Farms” by updating action taken by the Missouri General Assembly prior to the end of its session on May 13, 2011. After the Governor vetoed HB 209, relating to damages caused by private nuisances nuisances the General Assembly and the Governor reached a compromise on some minor changes to HB 209. The revised version – SB 187 – specifies that the limitations apply only to compensatory damages. These changes are mostly cosmetic and do not change the substance of the legislation. We have now entered a brave new world where the government sanctions the taking of private property by allowing one property owner to permanently pollute the property of another. It is a very strange law that sanctions pollution of another person’s property by allowing the polluter to acquire the right to pollute forever. Surely payment of damages does not sanctify the constitutional transgression, the taking of private property for a private purpose under the takings clause of the Constitutions of Missouri and the United States. The constitutional amendment proposed in HJR 3, creating a right to raise livestock in a humane way without the state imposing an undue economic burden on animal owners is equally strange. Under the proposed amendment the General Assembly of Missouri preempted all local laws that regulate the raising of livestock and required any state legislation criminalizing the welfare of livestock to be based on generally accepted scientific principles. Of course zoning and nuisance laws as well as many other laws dealing with the raising of livestock are not based on generally accepted scientific principles. HJR 3 came within a whisker of passing – having passed the House – but did not come to the floor of the Senate after bring voted out of Committee. Why? Hopefully the proponents realized that they had overstepped common sense by preempting zoning and public nuisance laws in cities, towns and villages. In addition, the proposed amendment could cover “puppy mills” since the ordinary dictionary definition of livestock includes the raising of dogs for profit. Why would the General Assembly want to cover “puppy mills” having just addressed this problem? Surely the General assembly does not want to fight this battle again or maybe they do. This entry was posted in Law and Policy and tagged CAFO, Hog Farms, Large Industrialized Pig or Hog farms, Legislation affecting nuisances caused by livestock, Missouri HB 209, Missouri HJR 3, Missouri SB 187, Preemption of zoning laws, Puppy mills. Bookmark the permalink.